Being named as an executor in a Will is both an honor and a huge responsibility. If you’ve been named an executor, be very careful to follow the local and state laws about proper conduct for executors. It’s critical that you do everything that’s requested in the Will or you could be potentially liable. 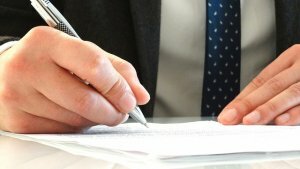 This article provides guidelines on what executors should do and a several watch-outs. In my next companion article, I will go into the biggest and most common mistakes to avoid. What is the role of an executor for an estate? The executor is legally responsible for sorting out the finances of the deceased person, making sure that all debts, expenses and taxes are paid, and then properly distributing the remainder to the beneficiaries in accordance with the Will. The person must carry out these duties in a diligent, impartial, honest and legal manner. They have a fiduciary obligation to the person who died. This job can be time consuming and stressful, and it’s important you take the job seriously. And, of course, this responsibility usually comes at a time while you’re grieving so it’s usually extra challenging. It’s important to know what you’re getting into and what to expect. 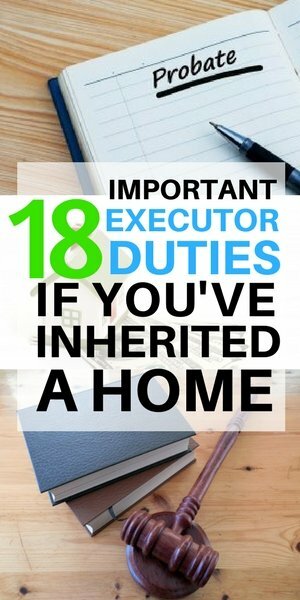 While it’s an honor to be asked to be an executor, it’s a big responsibility and a big time commitment. If you find yourself overwhelmed (e.g. by grief or a personal situation), you can decline. To do this after someone dies, you would need to file paperwork with the court and you can even suggest an alternative executor. Please note that once you officially accept the position as executor, you can not back out in the middle. So it’s important to understand the responsibilities ahead of time. Also, recognize that if the court needs to appoint an alternative executor, it may slow the process down (and hence slow down the disbursement of funds). This is sometimes one of the most important first steps, especially if there are young kids or pets that need to be taken care of immediately. Usually the Will has provisions for the kids (i.e. a guardian for them), but sometimes, you may not know who that is right away and/or can’t get in touch with them. It’s important that kids (as well as any other dependents such as an aging or disabled relative) have a place to stay (and food to eat) and someone to help them, even if it’s just temporary. Obviously, they will need some care and compassion, too. 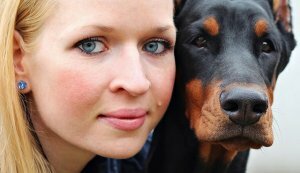 Sometimes pets are overlooked in Wills, especially if the Will was written before the pet arrived. Make sure that all pets have food and water, and if needed a place to stay, even if it’s temporary. Later, you can find a permanent home for the pet. Please note that all expenses for dependents and pets will come from the estate, so keep careful records of all costs. Ask some of your friends/family to notify others. Also, be sure to let the employer know. You will want to order official death certificates as soon as possible. A good rule of thumb is to order 20 (you may need more if it’s a complex estate). Death certificates do cost money, but this is a critical step and one that you’ll want to do ASAP. You will need these for many tasks, including the official legal approval to be the executor. You will need these as proof of death for many financial institutions. You will rely on your estate attorney throughout the process. They will provide guidance and take care of many critical tasks for you. The estate attorney is there to make sure that you do everything you’re supposed to and in the right order, and that you avoid any legal and/or tax guidelines and deadlines. Hire an experienced and trustworthy estate attorney (not just any attorney or a general practitioner). And hire someone in the state of the decedent, as there are often differences in the probate and tax laws by state. This person will save you a LOT of time and stress. Remember, if you make a misstep in the process, you may be legally and financially liable, and you want to avoid that. This can be a time consuming and stressful process if you attempt to do this yourself. Mistakes are very costly and may reduce the inheritance for you and/or the beneficiaries. With an experienced and honest attorney, you are in good hands. It will reduce your stress and speed up the process. If you already have a CPA, that’s great. If not, hire a CPA. It is less critical that the CPA be experienced in estate taxes. 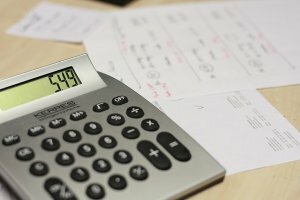 A general CPA is fine (as long as you have an estate attorney). If you don’t have one, ask your attorney for a recommendation. 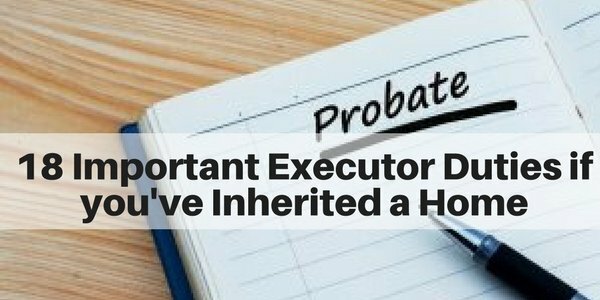 While the will may have named you as the executor, it’s important to realize that you are not officially the executor until the probate court legally certifies you (and the Will is validated). In order for this to happen, you’ll need an official death certificate, the ORIGINAL Will, the names and address of all beneficiaries, and a list of known assets. Please also note that there are filing fees (these will vary by state). From there, the probate clerk will approve (or disapprove) the executor, generally that same day. This is usually a formality, but a CRITICAL step before you proceed. Follow the person’s wishes (often this is stated in the Will). Two quick notes here. 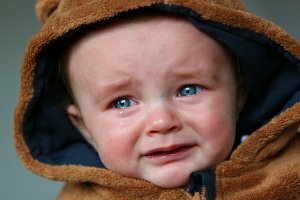 1) You can read some more details and next steps in this article: Next steps after a parent’s death. And be careful when it comes to choosing funeral home services. There are now laws in place that state you are entitled to a la carte pricing for what a funeral home provides. You may find this article helpful: Don’t get cheated at the funeral home. I would recommend changing the locks right away and potentially adding some sort of security system (e.g. alarm, cameras, etc.). It’s better to be safe than sorry here. Be sure to check any phone messages, collect the mail, discard any leftover food, water plants, etc. If you aren’t able to do this (especially if you live out of the area), then make arrangements for someone else to do it. It’s important to estimate the value of the estate early on (even if you don’t know the exact amount). This would include any liquid and tangible assets (e.g. house, car, artwork, jewelry, other valuables) and how much (if any) debt is owed (e.g. remainder of mortgage, tax bills, hospital bills, funeral costs, credit card debt, etc). And, of course, you will want to estimate the other estate costs (e.g. managing the estate, home insurance/maintenance costs, attorney/executor fees, ongoing costs, taxes, etc.). Your estate attorney will help you with this. If there’s a safe deposit box, locate it and make sure it’s safe. And, check the contents as it may have some key documents you need that may identify and/or give you access to assets. It’s critical to get an initial estimate, even if the numbers change based on more discovery. This is important because first, you need to understand if the estate is solvent or insolvent (meaning that the estate doesn’t or may not have enough assets to cover the remaining debts). This will impact how bills are paid (because if there isn’t enough, there are laws that dictate the order in which the expenses need to be paid. (More about this in Most common mistakes made by Executors). Second, you will need to work with an estate attorney to make sure there is enough money put aside to pay for all the bills that MUST be paid before there are any distributions made to beneficiaries. Be sure to keep detailed records of all assets and liabilities as well as all paperwork such as bank statements, mortgages, loans, incoming bills (e.g. credit cards, utility bills). You will also want to keep records of any estate-related transactions such as court fees, maintenance expenses, any sales made, and any expenses e.g. clean-up fees/contractors, etc. 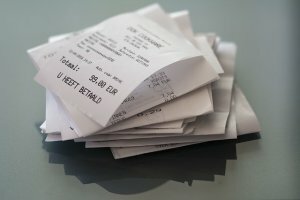 Keep a record of all receipts (and why these expenses were incurred). These will be needed later in the process (and if you don’t have receipts, they may not all be approved by the court). Be sure to set up a separate bank account for the estate. Note: you will need to file an inventory of the estate’s assets with the court. Most states require that an inventory of the decedent’s assets, coupled with the date of death values be filed with the probate court within 30-90 days from the date that the estate was opened with the probate court. For tangible assets such as real estate, jewelry, artwork, cars, collectibles, they will need to be appraised by a professional appraiser. Date of death values, especially for real estate, can have a big impact on taxes that may need to be paid when the house is sold. You may find this article comes in handy on identifying some of the important documents: How to do probate step by step. But, your best resource for this information will be your estate attorney. 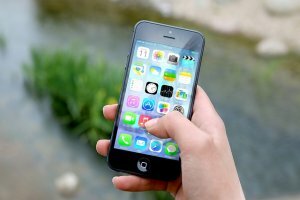 One of the first steps you’ll want to take is to notify the Social Security Administration and other governmental agencies. You’ll also want to notify the bank right away. If the estate has debt or bills to pay, the executor should send notice to any potential creditors so that no further interest accrues (and also to verify the balance owed). This way the creditor understands that there may be a delay in payment until the estate is settled. Keep a detailed paper trail of all correspondence. It is critical to follow the deadlines for the probate process. Mark all filing dates, including dates to give notice to heirs, inventory, accounting, and tax deadlines. Put them on your calendar, and set reminders. You MUST adhere to these dates. 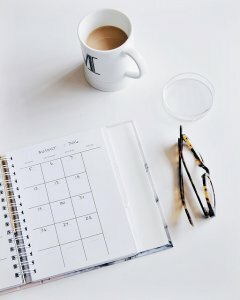 Make sure you allow yourself time to do each task and break them up into smaller steps. Do not leave things to the last minute, as you will inevitably find that something takes much longer than you expected it to. Be sure to consult your estate attorney on dates, guidance, and watch-outs. Make sure you understand when taxes and/or tax filings are due. It’s best to have a CPA prepare this for you. But, either way, make sure it gets done and that funding is set aside to pay the taxes (if there are some) as well as the CPA. This is critical. It may be a bit tedious at times, but you must keep thorough and detailed records of all bills and payments. Set up a separate bank account for the estate. And, make sure no other funds are commingled with this. If you pay any invoices, keep a copy of the receipt, a copy of the check, a description of the expense. Also, notate on the check that it was an estate expense. Note that ALL expenses will come from this account, including court fees, attorney fees, cleaning expenses, any of your expenses related to the estate (e.g. parking, gas bills, etc.). And, record any assets or refunds you receive (e.g. from an estate sale, reimbursements on utilities, etc). Keep everything to the penny. Whenever possible, avoid paying for things with cash, and if you need to pay for small items in cash, keep a receipt. Bear in mind that you will need to turn this info to the court at the end of the process. So start good record keeping from the beginning. 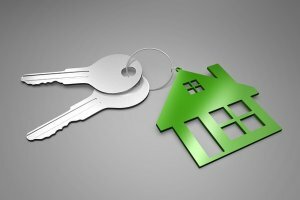 If the person owned a home, the executor is responsible for maintaining the home – both the inside and outside – until it is either sold or distributed to the beneficiaries. This includes deciding what will happen with the house (e.g. sell it, keep it, rent it…in conjunction with the other beneficiaries), as well as protecting it, cleaning/clearing it, doing repairs and/or minor improvements that may be needed to sell the house, making sure the house basic house bills are paid (e.g. home insurance, utility bills for heating/electric/gas/water). 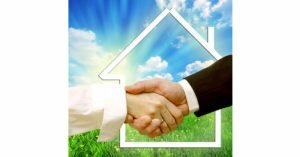 Of course, if you’re going to sell the house, you need the house to be at a comfortable temperature while potential buyers view the home. Don’t be penny-wise and pound-foolish here. It’s not worth it. Be sure to quickly switch the home insurance to vacant home insurance right away. Most insurance policies will not cover you if a home has been vacant for more than 30 days. 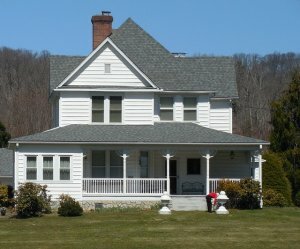 You will find this article handy for managing a vacant home: Maintenance tips for vacant homes. I’d also recommend changing all locks, especially since you don’t know how many people have the keys. You must follow the local and state laws for executors, so make sure you understand them. Your estate attorney will help you with this, so you avoid pitfalls. And, be sure to follow the instructions in the Will, especially as it relates to money/asset disbursements. If for example, you give one family member more and another less, it is against the law and against the wishes of the decedent. This can also cause a rift among family members. You are not in this role to be judgmental; you are here to execute the person’s last wishes. As the executor, it’s your responsibility to track down all heirs and interested parties to the estate. You must use all means available including online records, heir search companies, and family/friends. And, while it may not be required to keep beneficiaries updated as part of your executor dues (unless it’s stated in the will or they’ve requested it in writing, it is usually in your better interest to do so. Being honest and transparent about how the process is going helps prevent potential conflicts. It also helps ease tensions and at times may help you solve problems if they arise. The executor oversees managing and paying the estate debts. To be clear, these payments come out of the estate NOT your personal accounts. You need to pay in the proper order (and this may vary a bit by state). 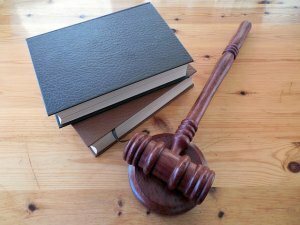 If you stray from this order and the estate becomes insolvent, you could be personally liable for the debts. You may find this article helpful for some guidelines on which debts get paid first and the proper order. Because some of the details on the order vary state by state, check the local laws. The best way to do this is to check with your estate attorney. 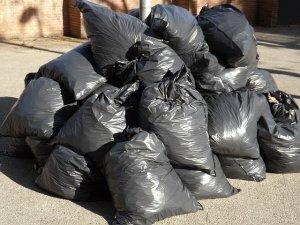 Often, especially when preparing a house for the market, as well as after selling it, there is extra “stuff.” Sometimes, this is garbage, other times, it’s unwanted furniture, clothes and other items. These items must be disposed, and the executor is responsible for this. This doesn’t meant that the executor literally needs to do the work, but they are responsible for making sure it gets done. Often, when there is a family involved (and they live nearby), the family will subdivide this task (or at least take care of portions of it). Or, in some circumstances, you may want to hire a company to clear out the belongings, or the portions of it. Obviously, this must be done before a house is sold and transfers ownership. When it comes time to clean up the place, this article should help: Supplies needed when clearing out your parent’s house. And, if you find yourself in a situation where it’s just too overwhelming to repair and clean out the house and you need to sell it “as is.” We can help you with this as we buy houses on Long Island for cash. Once the probate process is nearing completion, distributions are made to the beneficiaries. Consult your estate attorney on when and how to do this. It will vary based on state laws and based on the financial situation of the estate. Many times, you need to wait until all/most of the bills are paid and sometimes until after a house is sold. Sometimes, when an estate has plenty of money and there is no chance of insolvency, some early distributions may be made, and then the remainder may be made once the house is sold. Other times, the house must be sold in order to make distributions. Each estate is different. You will also need to make sure that there will be money in the account to pay the some of the final expenses (e.g. 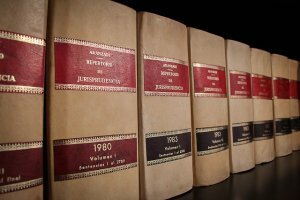 court fees, executor fees, remaining attorney expenses). Again, consult your estate attorney. This role is so important. 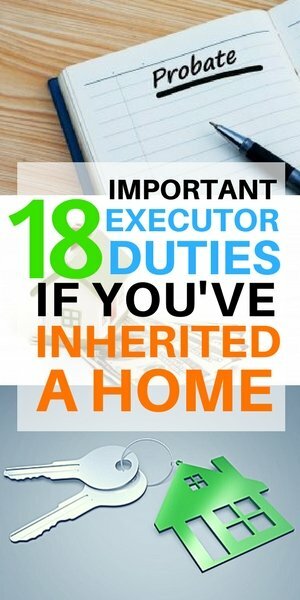 Do you get paid to be an executor? Yes. The process of managing an estate can be complicated, time consuming and lengthy. Often it takes place over 1-2 years (but certainly it can take longer for large and/or more complicated estates. Because of the work involved in this, under New York State law are entitled to a reasonable fee for the work. 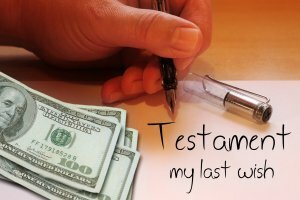 Usually, the executor fees are based on the value of the estate, unless otherwise stated in the Will. The fees generally range from 2%-5% of the value of the estate (and this is deducted from the assets before the remainder of the inheritance is distributed.). 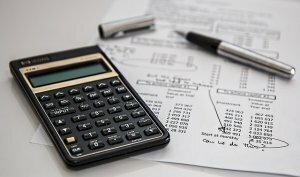 However, if the executor is also the beneficiary, it is common to waive these fees, as the fees are taxable income vs the inheritance is not taxed by the government if the estate is less than $5.43 million dollars (the estate includes all assets that are liquid and non-liquid assets (e.g. real estate, artwork, jewelry, cars, etc.). So, if the estate is $1 million dollars, the executor fee would be $34,000 ($5,000+$8,000 + $21,000). Note that some assets are not included in this base (e.g. 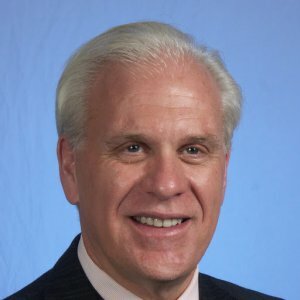 life insurance, assets in 401(k) plans, etc. Executor duties after the death of a loved one must be fulfilled with patience, a kind heart, and attention to detail. It’s an honor to be asked to be an executor and a big responsibility. Remember that you are here to help the beneficiaries and carry out the last wishes of the person you are helping. Please read my companion article on the biggest and most common mistakes made by Executors, so you can avoid these pitfalls.